Ever since the Microsoft Band 2 came out back in 2015, old Redmond has mostly been out of the wearable game. That being said, that wearable did pack some truly impressive and ambitious tech, enabling things like maximum volume of oxygen (VO2 max) tracking. Microsoft is clearly no stranger to experimentation when it comes to such gadgets and if a recently acquired patent is to be believed, there could be plenty more in store. 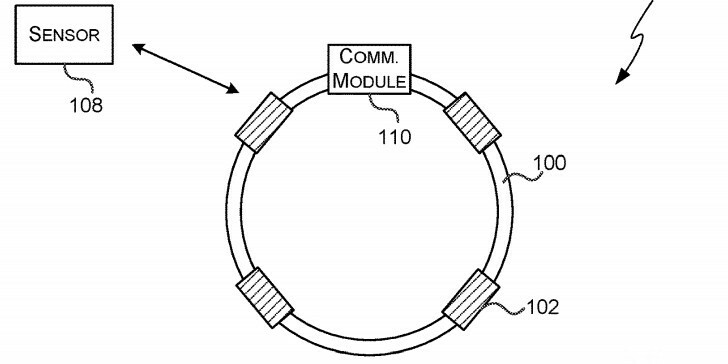 The document in question, simply titled “WEARABLE DEVICE” was filed back in June 2017, but has now been officially published by USPTO. Like every patent request, it is long, broad and vague in most parts, but the gist of it does sound very impressive. Apparently, at the heart of the device is an array of actuators, potentially mounted in a way that would allow for adjustments in their position. Working together with specialized sensors, their purpose would be to do their best in reducing or stabilizing involuntary movement in an adjacent joint or even entire limb. Below is a relevant excerpt from the document. 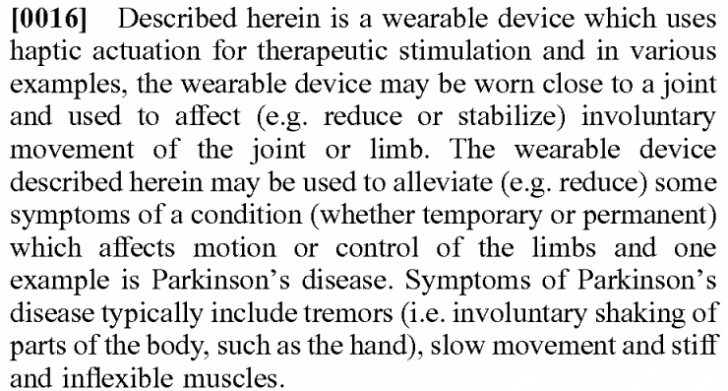 If implemented properly, this does sound like a major potential quality of life improvement tool for people suffering from Parkinson’s and many other conditions. Reading further into the text also reveals ambitions of making said device battery efficient enough to allow for a full day of operation on a single charge. Also, there are multiple mentions of communication protocols, like Wi-Fi and Bluetooth, as well as companion smartphone apps, so it is pretty clear the device will have some tracking and reporting capabilities. Likely general health features as well. Pretty neat indeed! We’ll definitely keep and eye out for any further developments and hope that this patent actually turns into a marketable product at some point.